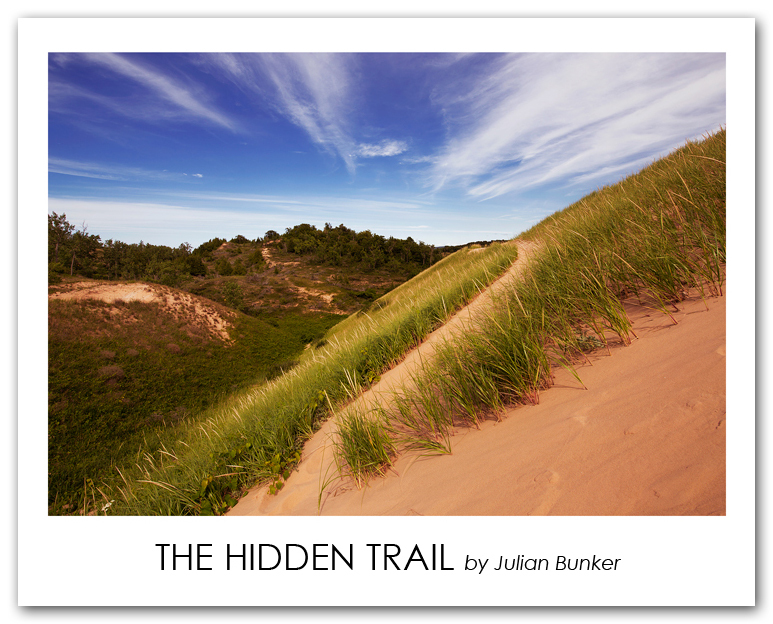 This 'Hidden Trail' is far back into the Sleeping Bear Dunes NLS. It is by far the nicest in the park because of how narrow and rarely used it is. I was fortunate enough to stumble on it, I hope everyone enjoys. Technical details: Canon 6D, Nikon 14-24 F2.8G ED Lens (@18mm), Novoflex Adapter - Nikon G Lens to Canon DSLR Body, ISO 100, F/16, 1/100th of a Second.